This week we were treated to some very cool and colorful character posters for Thor: Ragnarok. And during the NFL’s regular season opener on Thursday Night Football last night, a new spot was released titled “Contender.” Now it’s available online, and it features immersive sound technology from Ambideo. Check it out below as we get to see Hulk go up against a giant wolf and Thor coming up with a new name for his team. Speaking of his new team, what ever happened to Lady Sif and the Warriors Three? They have been missing in the trailers, but it looks like we’ll get to learn about their whereabouts in the film, according to producer Brad Winderbaum. The film is directed by Taika Waititi (Hunt for the Wilderpeople) from a script by Eric Pearson and story by Craig Kyle & Christopher Yost and Eric Pearson. 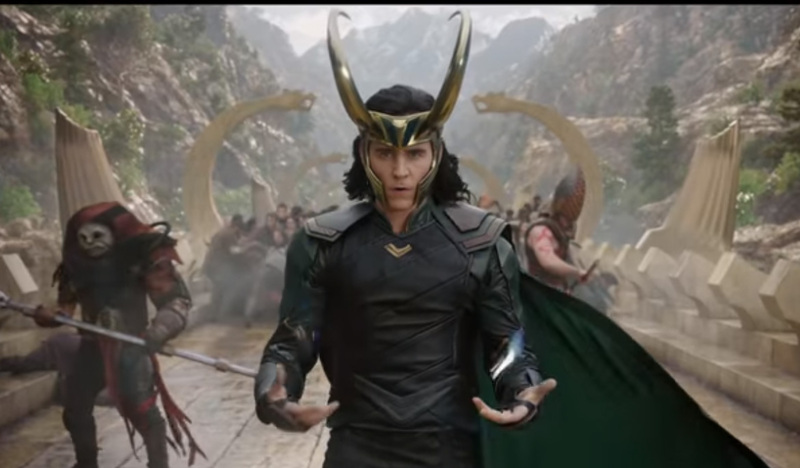 It stars Chris Hemsworth as Thor, Tom Hiddleston as Loki, Cate Blanchett as Hela, Idris Elba as Heimdall, Jeff Goldblum as Grandmaster, Tessa Thompson as Valkyrie, Karl Urban as Skurge, Mark Ruffalo as Hulk and Anthony Hopkins as Odin.